The two young men, in Delhi to train to become professional photographers, must have gone just 300 metres when the man crashed his car into their bike, lost control and hit an auto-rickshaw and a radio cab as well. It is the cab driver who first called the police. The two young men were in no shape to. Maninder Singh's friend, Gurpreet, died in the incident after a 'drunk' car driver hit their bike. Angered at two persons objecting to him smoking near them at a roadside eatery, a man allegedly waited for the two to leave and rammed his car into their motorcycle 300 metres away before hitting two more vehicles. 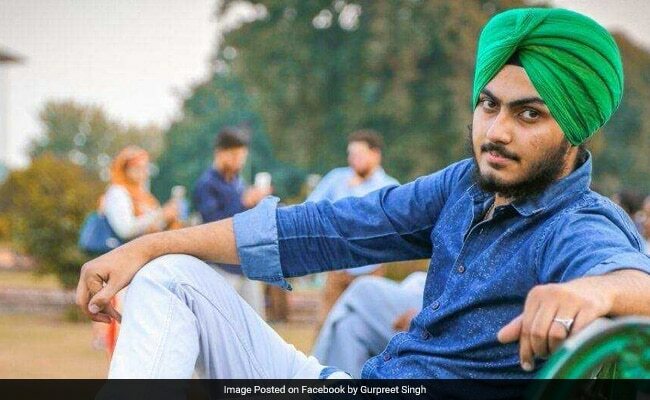 Gurpreet Singh, 21, died on Wednesday after battling for life for three days. The accused, Rohit Krishna Mahanta, a lawyer, was drunk, the police said, according to news agency Indo-Asian News Service. Gurpreet Singh and his friend Maninder Singh, 22, were out shooting for a project given by their photography institute on the life of the city's pavement dwellers. At 4.30 in the morning on 17 September, they stopped at the eatery near the All India Institute of Medical Sciences in south Delhi for tea and snacks. The accused came along soon after in his car. He lit up a cigarette near them and was blowing the smoke in their face, Gurpreet Singh's father told NDTV. "We asked him to move a little away so that the smoke does not come towards us," added Maninder Singh, who had also received injuries in the accident. "He told us had you been in Assam, I would have killed you and no one would have got to know about it," he said. They left soon after. They must have gone just 300 metres when this man crashed his car into them, and then hit an auto-rickshaw and a radio cab too. It is the cab driver who first called the police. The two young men on the bike were in no shape to move. Maninder Singh called up his friend's family in Punjab's Bhatinda around 6.30 am to tell them about the crash. He told NDTV that he had been saying right from the beginning that the accused had deliberately hit them, but the police twisted his version and initially, only registered a case of causing injuries due to rash and negligent driving. The accused was arrested and released on bail. A police officer, however, insisted that stringent penal sections were added later after Maninder Singh's statement was recorded. The police said Rohit Krishna Mahanta had also been injured in the crash. A constable has been deployed outside Rohit's room at Apollo Hospital where he is under treatment, said Chinmoy Biswal a senior south Delhi police officer. "Once he is medically fit, we will arrest him," he said, according to IANS.